In the report we examined: conduct of business and culture costs; economic and social utility costs; externality costs; and threats to financial stability and economic resilience. Conduct of business and culture costs: Our tally for ‘retail’ misselling in the UK is £45bn. UK banks also account for a significant share of the estimated £200bn global conduct costs arising from Libor and foreign exchange market manipulation, money laundering and so on. The litany of misselling has left a legacy of mistrust which undermines consumers’ willingness to use financial markets to save for retirement. This also partly contributed to the buy-to-let boom which has helped pump up property prices beyond the reach of younger generations. Economic and social utility: We found compelling evidence that a primary function of markets – to allocate resources effectively to productive real economy activities – is not working well. Only a very small share of bank and building society lending still goes to non-financial businesses (here). The scale of the value extraction (in the form of high costs and underperformance) in the £6trn asset management industry dwarfs the more high profile misselling scandals. Investor short-termism hinders the ability of real economy firms to plan for the future. Much ‘innovation’ in financial services was either about extracting value from clients or designed to deal with risks created by a previous set of ‘innovations’. There has been an illusion of innovation, some might say alchemy, as investors were sold the promise of higher returns at lower risk. Even now, markets are distorted as institutional investors invest huge sums in low yielding, safe bonds (the so-called ‘flight to quality’) and ‘search for yield’ by investing more in property and alchemical financial products. Investment in long term, productive economic activities falls between the gaps. Externality costs: the sudden shock of the financial crisis resulted in huge costs for the economy and society. But, over-financialisation imposes ongoing costs by contributing to regional and household inequality and harming long term economic productivity. City institutions are not doing enough to mitigate climate change risk. Tax avoidance is a huge drain on public finances. 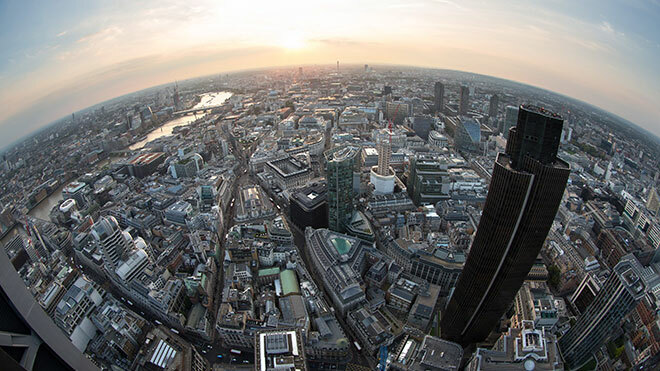 Financial stability and economic resilience: The financial crisis did so much damage for two reasons – the sheer scale of the UK financial sector and because we didn’t have the right firebreaks to protect the rest of the economic system. We cannot tell how big a risk the City still represents to the economy until it is tested by a new crisis. But, there are growing concerns that risk has been shifted from more visible parts to the ‘shadow’ financial system and major dislocations are evident in financial markets. The UK financial system still does not appear to be diversified enough to guarantee resilience. The UK’s system of financial regulation is now well set up for financial stability, conduct of business/ consumer protection and competition regulation (even if it is not used well, it is at least there). But, we lack the institutional policy framework to tackle those structural failures highlighted above. No one in authority seems to be charged with improving the economic and social utility of the City. Large parts of the financial system are working well and the City does contribute a huge amount to the economy and society. But, set against that, the City may still represent a serious risk to wider economic resilience. Perhaps more importantly for the economy in the long term, the City is just not very good at some of its primary resource allocation and asset management functions. Reform of the City should be a priority. But this begs the questions: what shape should those reforms take; and can we persuade policymakers that it is possible to reform the financial sector without ‘killing the golden goose’? To say Brexit complicates matters is an understatement. Brexit will create new risks for the financial sector and for households if regulatory arbitrage occurs. But Brexit also provides the opportunity and possibly the impetus for positive reform of the City. Overall, the questions raised by this audit can be summed up by asking: what should the City of London look like in a post-Brexit world; what role do we want it play in our economy; and while reform is clearly needed, do we have the credible policies, policy structures and political will to make the necessary reforms happen? These are big questions and we look forward to debating these with stakeholders over the coming years. Mick McAteer is co-founder and co-Director of The Financial Inclusion Centre. He is a consumer advocate with long experience of representing consumers at UK and EU level, and highest level regulatory experience. Prof. R. A. Werner puts forward this proposal.